The Stanford family sold 67 acres of meadowland to Brighton Council for 50,000 pounds in 1883. A bequest from bookmaker William Davies fortunately covered the cost. 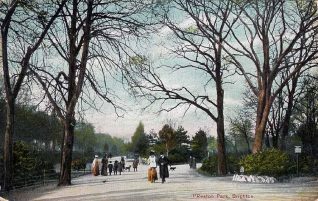 After extensive landscaping and the installation of new leisure facilities, the mayor, Alfred Cox, formally opened the Preston Park on 8 November 1884. The main entrance at the southern end of the park had a pair of gates and a memorial drinking fountain. Railings surrounded the park and a bell was rung at dusk before the gates were locked. The chalet cafe in the centre of the park was opened in 1887 and housed the police park in the upper rooms. The Clock Tower, inaugurated on 17 June 1892 by the mayor Joseph Ewart, was designed by Francis May and was made of red-brick and terracotta. The initials EW on the clock stand for Edward White, who financed the project. In 1928 the park was remodeled and the railings and some lodges were removed. Today the park is still popular and is used for leisure and sporting events. The park has recently received a grant to reinstate some of the original walkways and flower gardens. You can find out more about the history of Preston in ‘Preston: Downland Village to Brighton Suburb’, recently published by Brighton Books: www.brightonbooks.co.uk. 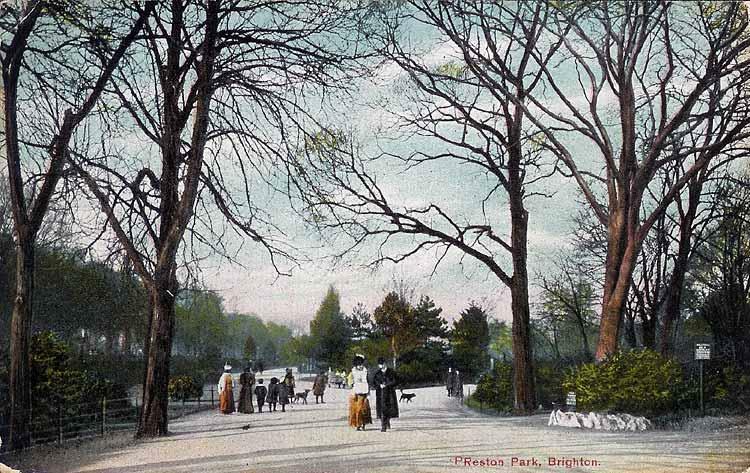 I think it was Arthur Hawker Cox who opened Preston Park, not Alfred Cox. A wonderful site – congratulations.